This is a story of two men who run ... not to run ... but to prove something to the world. They will sacrifice anything to achieve their goals ... Except their honor. The time is 1924. Britain's finest athletes have begun their quest for glory in the Olympic Games. Their success will win honor for their nation - but for two champion runners, the honor at stake is a personal honor ... and their challenge won from within. Chariots Of Fire tells the exciting, inspiring true story of Harold Abrahams, Eric Liddell and the dedicated team of competitors who brought Britain one of her most legendary victories in international sports. It's also the film that marked the brilliant resurgence of the British movie industry - and won four 1981 Academy Awards, including Best Picture. 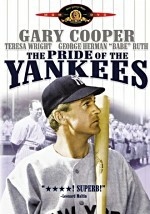 Vincent Canby of The New York Times called it "virtually a succession of smashing debuts," which it proved to be for Ben Cross, Ian Charleson, Nigel Havers, Nicholas Farrell and Alice Krige in their first major movie roles, and Hugh Hudson (a veteran of British television) directing his first theatrical feature. Hudson went on to make two more grand-scale period movies, Greystoke: The Legend Of Tarzan, Lord Of The Apes and Revolution. Pioneering producer David Puttnam brought these and many other collective talents together to shape a film whose impact has been lasting and unique. From its bracing footage of competition and pageantry to its extraordinary Vangelis score, Chariots Of Fire has left its mark on movie lovers everywhere. Over the years, I’ve gotten more than a few e-mails about my original review of 1981’s Chariots of Fire. When I wrote it in 2000, I expressed that its victory as Best Picture was a “particularly misguided” choice, as I thought that Raiders of the Lost Ark clearly deserved the Oscar that year. Others disagreed, which led to those e-mails. After five years and additional screenings of both flicks, have I changed my mind? Not in the least. If anything, I’m even more convinced that the Academy made a really terrible error when they chose Fire over Raiders. Not that I consider Fire to be a bad film, for it presents a fairly well-crafted piece of work. Set in the period after the end of World War I, essentially the movies concentrates on the parallel stories of two runners. Eric Liddell (Ian Charleson) is a devout Christian who postpones missionary work to use his excellent sprinting skills "for God's glory". Harold Abrahams (Ben Cross) is a Jewish guy who is looked down upon due to his ethnic background and who runs to silence these bigots and improve his own stature. The plot concentrates on their various encounters and preparations for the 1924 Olympics, where they are slated to face each other in the 100-meter dash. The best the film could hope to offer would be realistic and compelling portrayals of these two characters, and it could also set up a tense encounter at the end of the picture. When that battle happens, we should feel torn about who we want to win. Without giving away too much of the story, let's just say the movie has its cake and eats it too. Obviously, the filmmakers are constricted by facts. From what I understand, much of Fire takes some liberties - as is almost inevitable with movies of this sort - but there are some facets they could not change, and various event outcomes fall into that category. Still, I felt a little cheated that the movie builds so strongly toward a particular ending but it veers away from that. The rivalry of the two runners and their very different personalities are accentuated to such a degree that the movie’s conclusion seems very anti-climactic. That means the entire film felt like foreplay to me, and somewhat bland foreplay at that. Fire falls very much into the "stiff upper lip", genteel form of British drama. It seems coherent and respectable but also fairly dull and dry. 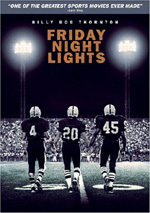 By nature, depictions of athletic events should be exciting and tense, but this film's races are almost totally devoid of any thrills. This would seem more acceptable if the story itself provided great insight into the characters or had some strong reason for being, but I couldn't establish the existence of either of those. The participants are generally well-portrayed and mildly interesting, but they aren't strong enough to hold my attention. The story seems to have some inherent drama that the filmmakers just don't tap. For me, one major annoyance came from Vangelis' synthesizer score. I'm probably in the minority here, as most people seem to love this music - it remains popular listening - but I found his work to be completely inappropriate for the film. Vangelis' "New Age" piffle felt radically out of place in this period drama and I didn't think it worked at all. His music for Blade Runner perfectly fit the futuristic subject but similar content seemed odd and intrusive in a movie that takes place just after World War I. I'll give the filmmakers credit for trying something different and daring, but I didn't like it. As for Chariots of Fire itself, I thought the movie provided a mildly watchable and interesting tale of two competing runners but 23 years after the fact, I still can't believe this fairly mediocre piece of work beat Raiders of the Lost Ark for Best Picture. The victorious film seems too drab and ordinary to top a dynamic and influential piece of work like Raiders. Is a recount still possible? 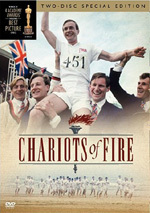 Chariots of Fire appears in an aspect ratio of approximately 1.85:1 on this single-sided, double-layered DVD; the widescreen image has been enhanced for 16X9 televisions. This marks the DVD premiere of Fire in its original theatrical aspect ratio; the prior release came only in a fullframe “open matte” edition. In addition to the appropriate framing, this new version also presented substantially improved visuals when compared to the old one. Only infrequently did I notice any issues connected to sharpness, and those instances mostly cropped up during the film’s first few scenes. Including the opening credits, some of those looked a bit soft and ill-defined. Occasionally I saw a little fuzziness for other parts of the film, but not to a substantial degree. Most of the movie came across as nicely detailed and distinctive. No jagged edges or shimmering appeared, and I saw only modest signs of edge enhancement. One major problem with the old transfer stemmed from excessive print flaws. The new Fire demonstrated sporadic concerns but looked significantly cleaner. I saw occasional specks and small marks. Otherwise, the movie lacked the more noticeable scratches, hairs, nicks and blotches of its predecessor. Grain also became less intrusive; some still showed up, but it clearly stemmed from the source elements. One odd concern popped up in both transfers. A few times during the film, I noticed strange signs of jittering. The image bobbed slightly for reasons I couldn’t discern. For the old transfer, I blamed this on poor digital encoding, but since it occurred again here, I don’t think that’s the case. Instead, it seemed to be something inherent in the original photography, though for the life of me, I couldn’t figure out what caused it. It only occurred a couple of times and created a minor distraction but didn’t turn into anything overwhelming. Within the parameters of the film’s design, colors seemed pretty good. As is often typical of this kind of period piece, Fire used a fairly limited palette that maintained a generally overcast feel. This limited the vivacity of most hues, though a few scenes - like the stage production at which Abrahams first sees Sylvia - boasted more dynamic colors. Across the board, the tones looked appropriately delineated. Black levels also were deep and firm, while low-light shots depicted good clarity without excessive opacity or murkiness. The new transfer of Fire wasn’t a slam-dunk, and some of the problems almost led me to give it a “B-“. However, too much of the movie looked too good for it to deserve the lower mark, so I went with a “B”. The transfer could still use some work, but it nonetheless offered a marked improvement over the original DVD. One other change from the old Chariots of Fire DVD related to its audio. The 2005 disc included a remixed Dolby Digital 5.1 soundtrack instead of the original’s Dolby Surround 2.0 mix. The 5.1 audio cleaned up matters a bit but didn’t radically alter the old one’s design. The soundfield tended to strongly favor the forward channels, which provided a relatively broad experience. The score spread nicely across the forward spectrum, and we also heard some good use of ambient effects on the left and right that enliven the proceedings. For the most part, the surrounds offered only modest reinforcement of the music and effects; they're usually not a factor. One odd and distracting exception came during a scene that featured a thunderstorm. The mix placed the rumble awkwardly in the spectrum, as it either came from the right or the left and it didn’t blend well with the entire package. It also tossed out some split-surround information, but that worked a bit better. This scene passed quickly but it created a jarring effect that briefly took me out of the movie. Although the soundfield stayed generally true to the prior one, the quality of the audio improved. As with its predecessor, the score sounded very dynamic and rich, with some surprisingly strong bass and a nice level of clarity. In addition, effects were acceptably accurate and crisp. They didn't stand out particularly well, but they didn't appear weak, either. The new mix’s biggest step up connected to dialogue. The old track presented a lot of brittle and edgy speech, but that wasn’t a problem here. I thought the lines were somewhat thin, but they offered good intelligibility and seemed considerably more natural than in the past. The new track also eliminated the bleeding that occasionally affected the old mix. For that one, speech sometimes spread to the side when it wasn’t appropriate. Here the lines stayed focused in the right spots. While I wouldn’t call this a great soundtrack, it was good enough to earn a “B-“ as part of its era, and that marked an improvement from the prior DVD’s “C”. To complete the special edition’s trouncing of the original DVD, we move to this two-disc set’s extras. The previous release included virtually no supplements, but this one tosses out a nice mix. 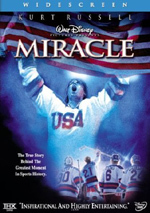 On DVD One, we find an audio commentary from director Hugh Hudson. He presents a running, screen-specific chat that works well when he bothers to talk. Yes, that means the biggest problem here stems from dead air. Few of the gaps last terribly long, but empty space occurs fairly frequently and adds up to a lot of silence over the movie’s entire running time. At least Hudson makes the most of the occasions when he does speak. Among other topics, he talks about casting and working with the actors, locations and problems in that domain, the movie’s visual scheme, its famous score, themes and story concerns, historical fact and liberties taken, and the flick’s reception. Hudson remains proud of the movie, but the track rarely degenerates into bland praise. Instead, it covers a nice array of relevant subjects and manages to keep our interest. If only Hudson didn’t let so much dead air occur, I’d consider this a very strong commentary, but it sags too much for me to regard it as much above average. In any case, it’s definitely worth a listen. When we move to DVD Two, we launch with a new documentary called Wings on Their Heels: The Making of Chariots of Fire. In this 27-minute and 10-second program, we get the standard combination of movie clips, archival materials, and interviews. We hear from Hudson, producer David Puttnam, screenwriter Colin Welland, editor Terry Rawlings, director of photography David Watkin, athletic consultant Tom McNab, composer Vangelis, and actors Ben Cross, Alice Krige, Dennis Christopher, Nicholas Farrell, and Nigel Havers. The piece covers research and developing the script, casting and the characters, physical training, shooting the flick and various production concerns, photographic styles and editing, the score, distribution problems and the movie’s reception. Surprisingly, not too much information from Hudson’s commentary repeats here. Instead, we get a lot of new material in this consistently engaging documentary. It presents a good overview of the production and provides a lively and tight take on matters. Next we get Chariots of Fire - A Reunion. The 18-minute and 55-second program brings together Hudson, Havers, Puttnam, Farrell, and Watkin all in the same room. They chat about the roots of the project and its development, facets of casting, training and mishaps, the use of slow-motion, various production notes, and the flick’s reception. This one stays with an anecdotal emphasis, and that makes it stand out when compared with the other pieces. It also presents information mostly not discussed elsewhere. The participants give us very entertaining stories and help create a vivid and entertaining glimpse of the movie. Seven Additional Scenes fill a total of 11 minutes. These mostly offer minor additions to the characters, with the most significant clip focusing on Liddell’s girlfriend; she was excised from the final film. The snippets are consistently interesting to see. We can watch the first one - “Cricket in the Ballroom” - with or without commentary from Hudson. He’d already alluded to this sequence in his full commentary, but here he reiterates why it was removed from the American version of the film. In addition to the movie’s trailer, we get some screen tests. This area includes clips for Ben Cross (four minutes, 11 seconds) and Ian Charleson (4:31). We saw a little of these in the “Wings” documentary, but it’s fun to inspect them on their own. Finally, we find some Easter Eggs. Go to the “Additional Scenes” menu. On the first screen, click to the left from “Two Masters and Abrahams” and it’ll highlight a torch. Press “enter” to see a 111-second reunion piece in which Hudson, Puttnam and Havers visit the movie’s Eton College location. On the second screen, head left from “Harold Abrahams Running Past Car” to activate another torch. When you click on it, you’ll discover a 62-second clip in which Cross discusses shooting the movie’s opening running shot. Chariots of Fire is far from the worst film that ever took home the Best Picture Oscar, but it's a curiously bland and uninspired affair. I found it eminently watchable and fitfully compelling, but I have no clue why it took home such high honors. The DVD offers inconsistent but mostly positive picture and audio plus a very nice compilation of supplements. I won’t ever think much of the film, but this DVD should please fans of the flick. Should those who own the prior release snag this one as well? Definitely. It offers substantial improvements in both picture and sound quality as well as some nice extras. It’s a strong step up from its predecessor.